What do whisky brand names and age statements have to do with it, anyway? Home/Thoughts and Musings/What do whisky brand names and age statements have to do with it, anyway? 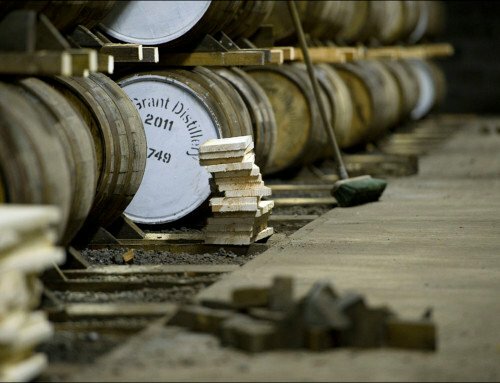 Some will scour their Outturns for the oldest whiskies available, with the most recognisable distilleries they can find. 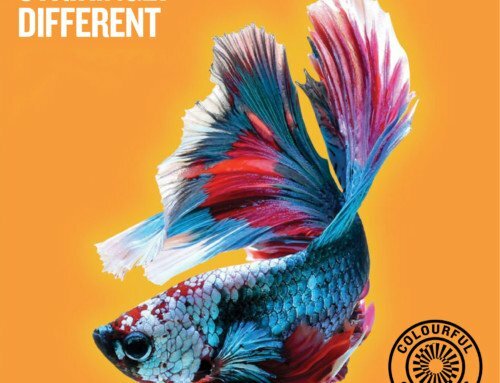 But let’s entertain a new approach. Let me tell you the story of the evening I fell madly in love with the lower age statement and the more obscure distillery. As you probably know, Scotch whisky must be matured for three years. Aside from time, the cask type and cask size, as well as the region (climate) in which the whisky rests will have significant impacts on the way the whisky matures. Nowadays we are seeing distilleries from all over Scotland (and beyond) drop their age statements altogether, which is mainly due to supply and demand; the demand for liquid gold at this rate was nearly unimaginable even 10 years ago! 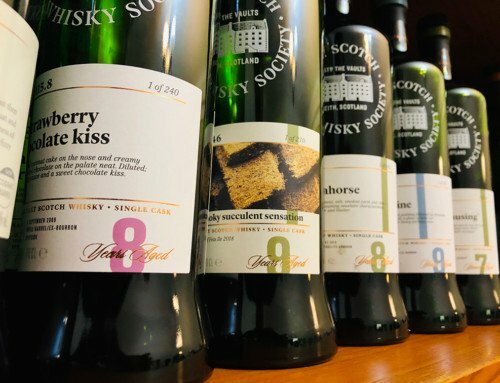 I recently sat down with three different SMWS casks, two from the same distillery – a distillery with very small awareness in the USA, if any – and one from a well-known distillery from a well-loved region. The casks from the same distillery were 14 years and 29 years old, respectively. The last was a 17 year old and came from an island that I had taken a propeller plane to visit only a few months before. This was an older age statement than what typically comes out of that region, so I was especially intrigued. Long story short, while I loved all the whisky, I ended up spending most of the night absolutely delighted by the youngest, more obscure cask! I reminisce about her to this day because she is now but a golden-hued memory; she will go down in history as one of the best I’ve ever had, and I’ve had my fair share of fine whisky. Her bottle lays empty on my proverbial mantelpiece as a keepsake of happier times. 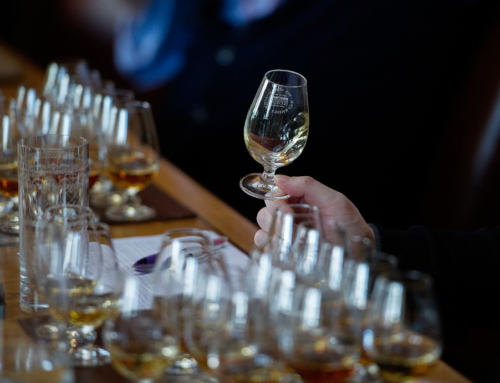 The lesson here is simple: often the SMWS will bottle a cask from a lesser-known distillery. [Even this March Outturn coming this Friday you’ll see a whisky from distilleries ’36’, ‘G4′, ’50’, and ‘84‘. -Ed] Consider these bottlings especially rare gems, filled with pure Scottish authenticity just waiting to pop! on your palate – gems that might otherwise have not arrived to our shores had the Society not introduced them to us. In knowing that, go forth and taste and try with confidence. Invest in a whisky notebook if you haven’t yet already, and trust your masterful notes as you explore lesser known distilleries. Sometimes a risk may lead to a great discovery. My own with the young cask was a fragrant complexity previously unimaginable – sweet white Hawaiian flowers enchanted the nose, which led to light, warm honey-notes bound by pops of ripened pear and apricot on the palate, finished with a faint sea spray. 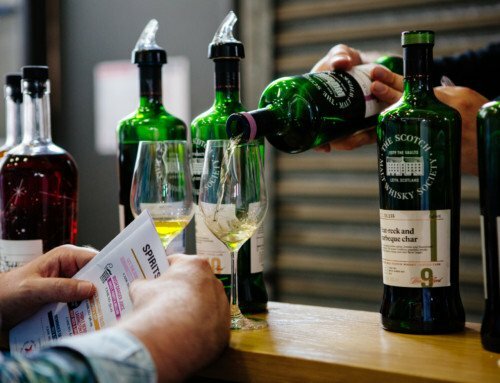 Rest assured that all SMWS bottlings live up to, and potentially exceed, the standards of our expert tasting panel and are bottled only when they are ready. What that means is we bottle when ripe; whether the age statement is seven years or 29, it’s our job to know exactly when our whisky has reached its maximum potential. Only then are we proud to share it as an official SMWS bottling. Can you recall a time when you fell for a younger, lesser-known distillery? Author Amanda Victoria, SMWS USA. Edited by Matt Bailey and re-posted with courtesy.